The idea of a perfect vacation is not the same for everyone, and that is certainly true when it comes to finding a place to stay. We have hotels, motels, inns and resorts right in town and off the beaten track. 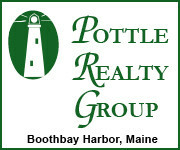 No matter what kind of accommodations you're looking for, the Boothbay Harbor Region has just the place with a variety of lodging options that are as unique as our coastline. A Cozy Room. A Water View. Your Best Stay Ever. A historic home transformed into a picturesque bed-and-breakfast. A rustic resort, tucked into the woods above the bay and equipped with all manner of boats available to guests. A 5-star inn, once a sea captain’s house, offering concierge service and a lofty view of our charming coastal village and the harbor below. No matter what type of lodging you choose, a relaxing stay in a gorgeous part of the world, full of amenities prepared with your happiness in mind, awaits you in the Boothbay Harbor Region. If there’s one thing that defines our lodging opportunities, it’s “character.” You’ll find it at B&Bs like the Thistle Inn, an 1861 sea captain’s home, where each room is named after a historic sailing vessel. At the Topside Inn gorgeous water views greet you in every direction. Long-time lodgings, like Boothbay Harbor Oceanside Golf Resort (formerly Rocktide) and the Linekin Bay Resort, are being transformed with architectural rejuvenation and up-to-date amenities for today’s traveler. We have lodgings right in town and others off the beaten track—gems for discovery like the Newagen Inn on Southport Island—a place to pull back from your busy work life. For a unique experience, try the Inn at Cuckold’s Lighthouse. The keeper’s house was recently transformed into a luxury inn listed by Fathom Travel as one The World’s Most Romantic Hotels. A number of hotels offer fine dining on the premises, while our B&Bs provide the hearty breakfasts that are part of their namesake to enjoy leisurely or on the go as you head for the day’s activities. Delicious baked goods and freshly brewed coffee, anyone? If vacationing with the whole family or a large group, consider renting an entire home on the waterfront or cottage nestled in the woods. Two campgrounds offer everything you need to pitch a tent or park your RV, plus organized activities for all ages.